Name-Comm: His common name was Louie. Death*: Marnin died circa 1915 in Red Level, Covington, AL. 3. [S105] 1910 MS, US Census. She was the daughter of Robert Franklin Grantham and Martha Susannah Ealum. 1. 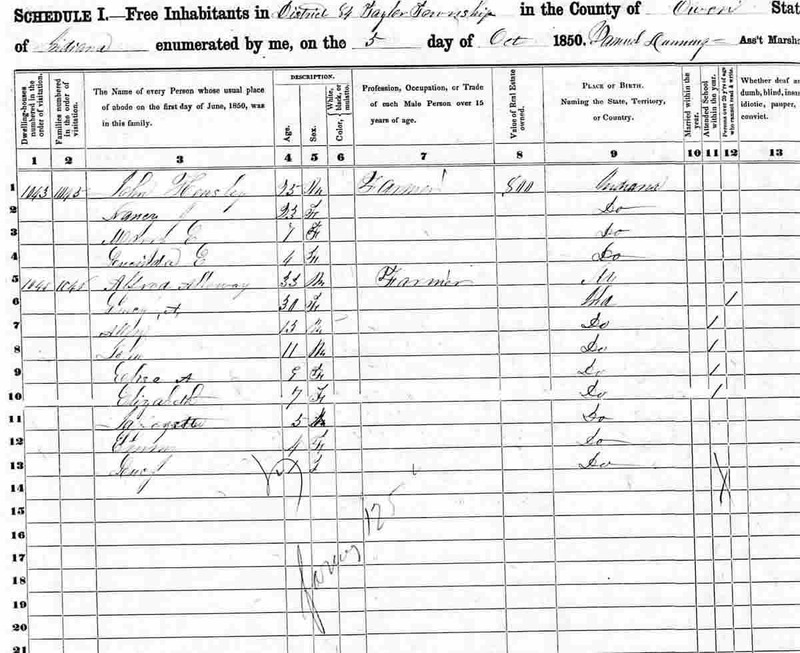 [S104] 1870, US Census, Butler co, AL. She was the daughter of Leonadis Pentacost Parker and Sallie Williamson. 1. [S105] 1910 MS, US Census. 2. [S107] Hunting for Bears, Marriages. He was the son of Marnin Louie Grantham and Alice Parker. 1. [S324] SSDI, online http://ssdi.rootsweb.com/cgi-bin/ssdi.cgi?lastname=GRANTHAM&firstname=BRELON&ssn=&zip=&start=0&issue=&birth=&death=&bmo=&dmo=&lump=&bda=&dda=&nt=exact&ls=&lc=&lct=&lus=&luc&luct=&stat=a. She was the daughter of Marnin Louie Grantham and Alice Parker. 1. [S106] 1920 MS, US Census. She was the daughter of Walter Grantham. 1. [S107] Hunting for Bears, Marriages. 1. [S109] 1850 MD, US Census. 2. [S110] Lutz-Grantham, ca 1985 , Family researcher - her family line. 3. [S110] Lutz-Grantham, ca 1985. 1. [S110] Lutz-Grantham, ca 1985. She was the daughter of Jacob Favorite and Catherine Mondshour. 2. [S110] Lutz-Grantham, ca 1985. He was the son of Jacob Favorite and Catherine Mondshour. He was the son of Jeremiah Favorite and Alice V ?. Marriage*: He married ?? ?. He was the son of George Favourite and ?? ?. Marriage*: He married ??? ?? circa 1773. Marriage*: She married George Favourite. Marriage*: She married George Favourite circa 1773. Birth*: Peter was born circa 1774. He was the son of George Favourite and ??? ??. Birth*: Henry was born circa 1775. Birth*: Jacob was born circa 1787. He was the son of David Hoover and Elizabeth ???. Marriage*: He married Elizabeth Rohrer circa 1806. Death*: Jacob died circa 1849 in Jessamine, KY.
1. [S150] Hoover-Rhorer, Harrison, Sandy. Birth*: Elizabeth was born in Md circa 1787. Marriage*: She married Jacob Hoover circa 1806. Death*: Elizabeth died circa 1846 in Jessamine, KY. Birth*: John was born in Fluvanna, VA, on 22 September 1782. He was the son of Archelaus S Alloway and Elizabeth Vannerson. Marriage*: He married Jane (Ava) unk in Fluvanna, VA, circa 1815. Death*: John died on 2 May 1863 in Reasoner, Jasper, IA, at age 80. 1. [S112] Alloway, Family Bible. 2. [S113] Alloway-Ruttgen, Family Group Sheet. 3. [S114] Alloway, Juanita, Letter. 4. [S241] Census, unknown repository address, Nelson co, IA. Birth*: Jane was born in PA circa 1790. Marriage*: She married John S Alloway Sr in Fluvanna, VA, circa 1815. 1. In 1850 census wife name is Ava. 2. [S241] Census, unknown repository address, Nelson co, IA. He was the son of John S Alloway Sr and Jane (Ava) unk. 4. [S241] Census, unknown repository address, District ?4 Taylor twp, Owen co, IA. 4. [S241] Census, unknown repository address, District 16, Jasper co, IA. 5. [S241] Census, unknown repository address, District 16, Jasper co, Iowa. 4. [S241] Census, unknown repository address, Columbus city twp, Louisa co, IA. She was the daughter of John S Alloway Sr and Jane (Ava) unk. Name Variation: Archelaus S Alloway was also known as Archelaus Strange. Birth*: Archelaus was born in Fluvanna, VA, circa 1750. He was the son of John Alloway Sr and Anne Mitchell. Marriage*: He married Elizabeth Vannerson in Fluvanna, VA, on 30 August 1781. Death*: Archelaus died circa August 1808. Birth*: Elizabeth was born circa 1753. Marriage*: She married Archelaus S Alloway in Fluvanna, VA, on 30 August 1781. Death*: Elizabeth died before 1794 in Fluvanna, VA. Biography*: Supposedly this individual's surname was STRANGE, but when he moved from Virginia he started using his middle name of Alloway as his surname. This is as stated from a direct descendent of this line. Birth*: John was born circa 1727. Marriage*: He married Anne Mitchell in Fluvanna, VA, circa 1749. Death*: John died circa 1811 in Fluvanna, VA. Birth*: Anne was born in Fluvanna, VA, on 1 January 1727. Marriage*: She married John Alloway Sr in Fluvanna, VA, circa 1749. Death*: Anne died circa 1781 in Fluvanna, VA. 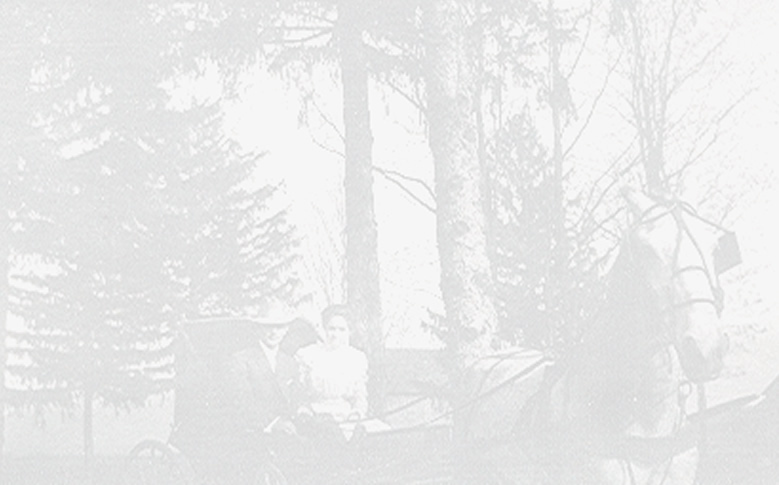 Marriage*: He married Elizabeth Wilson in Fayette, Pa, circa 1813. Death*: John died circa 1850 in Monroe, Oh. Marriage*: She married John Antill in Fayette, Pa, circa 1813. Birth*: Nancy was born in Fayette, Pa, circa 1816. She was the daughter of John Antill and Elizabeth Wilson. Marriage*: She married Richard Forshey in Monroe, Oh, circa 1836.